When benchmarked against other countries, monthly mobile data costs in Zimbabwe remain one of the most expensive in Africa. Ecobank’s report found that Zimbabwe ranks number 2 across 47 African countries, in a study that examined the average monthly cost of one gigabyte of data. 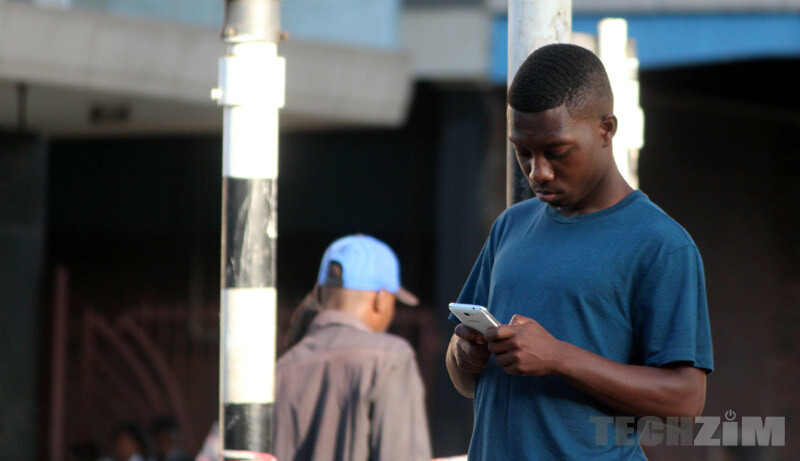 The monthly average cost of mobile data in Zimbabwe is pegged at $25 per gigabyte, second to Equatorial Guinea’s most expensive mobile data which goes for $35.47 per gigabyte. As it happens, Zimbabwe has performed badly on this ranking considering that last year it was ranked third. Zimbabwe’s data costs are higher than those in neighboring countries like Malawi, Mozambique, and Lesotho, where South Africa’s major communications operators are also active. Not forgetting that mobile data prices in Zimbabwe once came under constant attack, with targeted social media campaigns like #DataMustFall drawing attention to the high prices local Mobile Network Operators charge. Mobile Network Operators have to put certain infrastructure in place to provide mobile services to all parts of Zimbabwe, but the running costs are expensive. Even though mobile operators install base stations in urban and rural areas, I think they do not make as much return on investment in rural as opposed to urban areas. So in order to compensate for the disparity, the bill is passed to everyone and the price seems high because few are paying. If more people were using the mobile services extensively in these areas, prices would go down. If you paid attention to the recently ended elections, you must have noticed the amount of population that lives in rural areas. That takes me back a few months ago when Potraz installed a base station in a remote area which had never used local mobile services. Consequently, this gives birth to another contributing reason for the expensive data in Zimbabwe which is low competition. Expensive infrastructure prevents small service providers from entering the market to compete with the behemoths like Econet. The world is increasingly going digital, with new business models that are platform based. But with absurd prices to access the platforms, these business models will find it extremely hard to take off. With more Zimbabweans relying on mobile communications, it should be prioritized to bring down data prices. We hope POTRAZ hears our prayer and continue to install more base stations in rural areas. People in remote rural areas, unemployed people, elderly people, kids, all of them even those on very low incomes are starting to use the internet and often every day of their lives. But they can’t use it the way they want if it’s not affordable to access it. What is the continent’s average cost? In “normal” countries where the government serves the people, the government should be helping foot the bill for the infrastructure. At worst giving tax breaks to companies that are investing in the infrastructure. Other problem is mobile comms industry is being used as a cash cow by tax authorities to fund essential services like health care. Zimbabwe climbed from third to second in the listing primarily because of this. Portraz are running comms industry like a cartel, which is wierd for a supposed regulator. Competitive pricing is largely discouraged amongst the main players. Just look at what happened with Econet’s iflix offering. At one point it did not make sense because of the overpriced data. This shows how unnecessarily high data costs is affecting the broader economy. The lack of infrastructure and general development in rural areas has always been a Zanu tactic to keep rural folk down and dependent on handouts, which they in turn use to gain political mileage. If you live in the most remote areas of Zim and you donot have a Zanu pf membership card you starve.